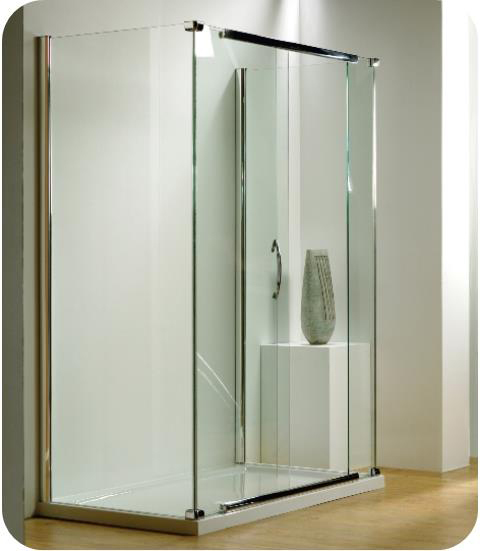 Showerline’s frameless shower door and enclosure range is designed to complement the most exacting standards. 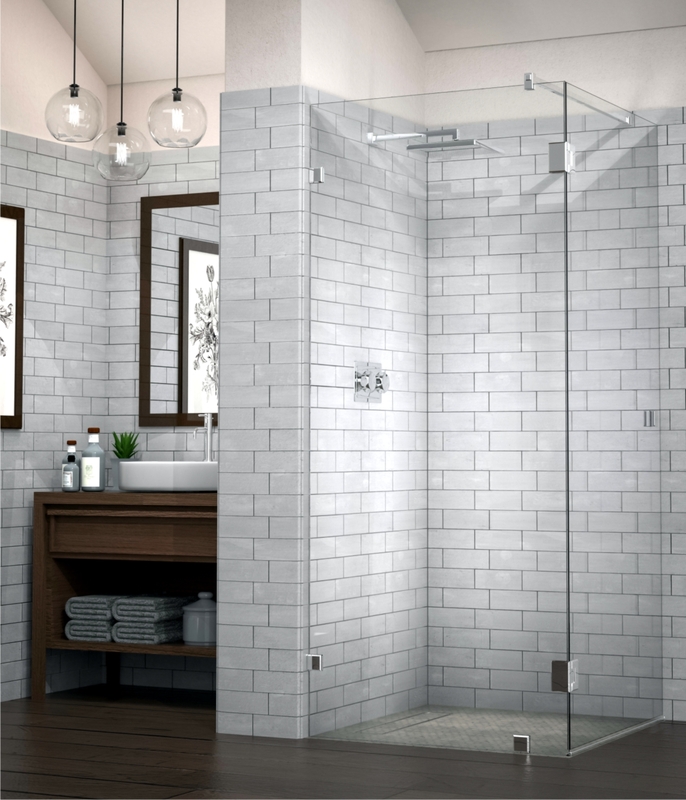 Countless frameless shower door and enclosure applications are possible, all while keeping within legislated safety standards. 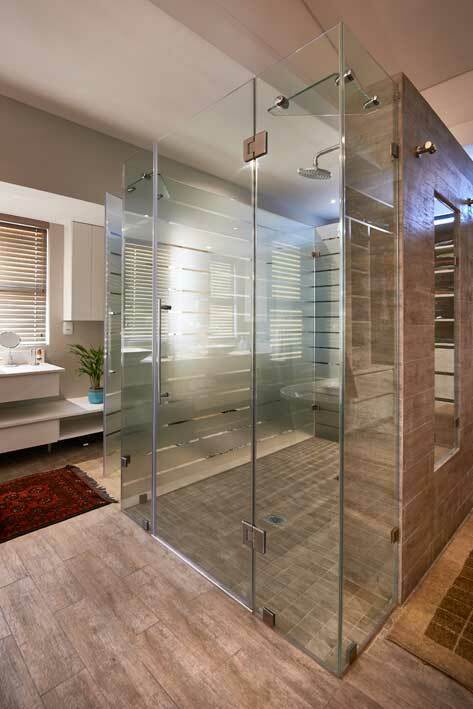 The use of 6, 8, 10 and 12mm Toughened Safety Glass allows for elegant versatility without compromising national building standards as required by SANS 10400 and SANS 549. 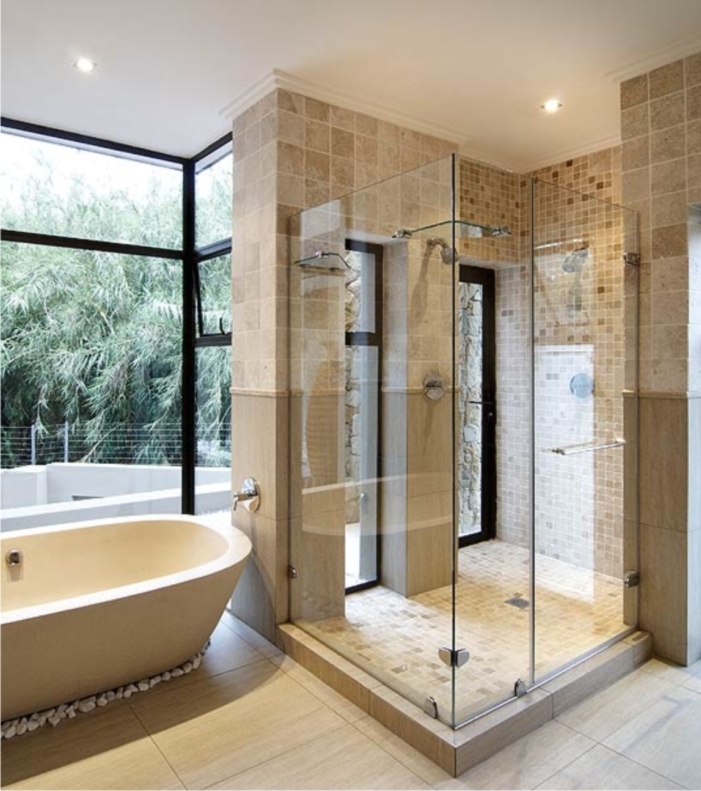 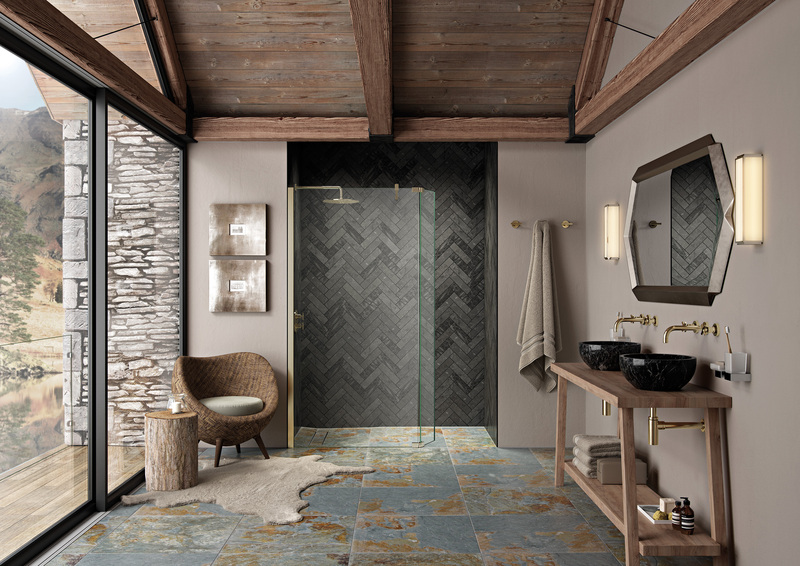 Folding or sliding shower doors hinging off walls or off glass, the perfect showering combination can be found for the most exacting of designs. 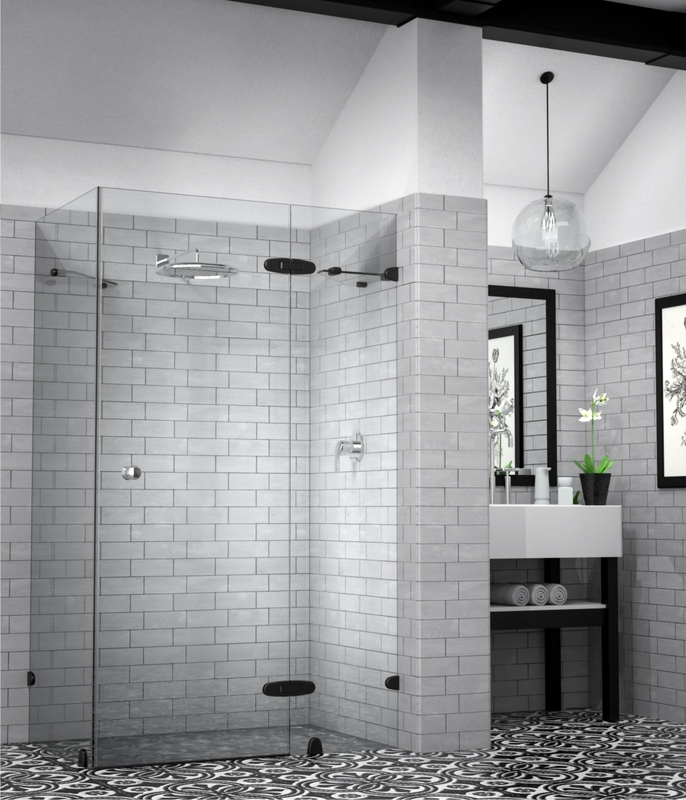 Showerline offers several options in our Framless and Semi-Frameless Range offering Black Hardware. 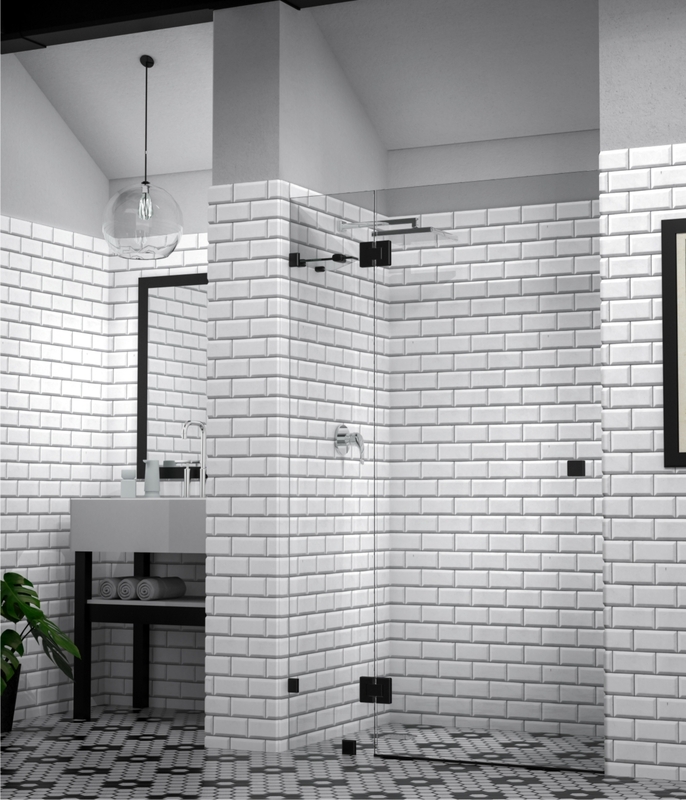 If you don’t see what you are looking for in our gallery, drop us an email and we can let you know about how we can assist with your design requirements. 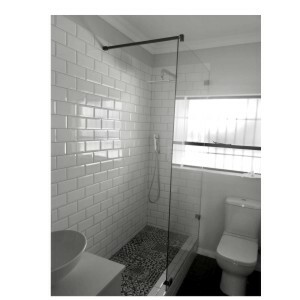 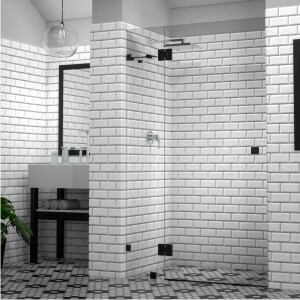 Also check out our Framed Shower Page for Black Framed Shower options. 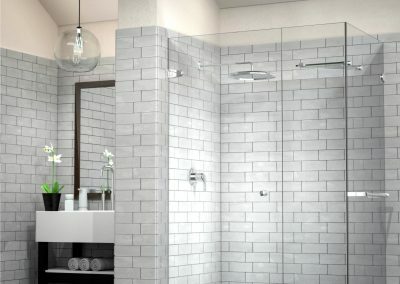 Our unique and elegant Reflection Frameless Shower Door and Enclosure Range is the most popular in our Frameless Shower range. 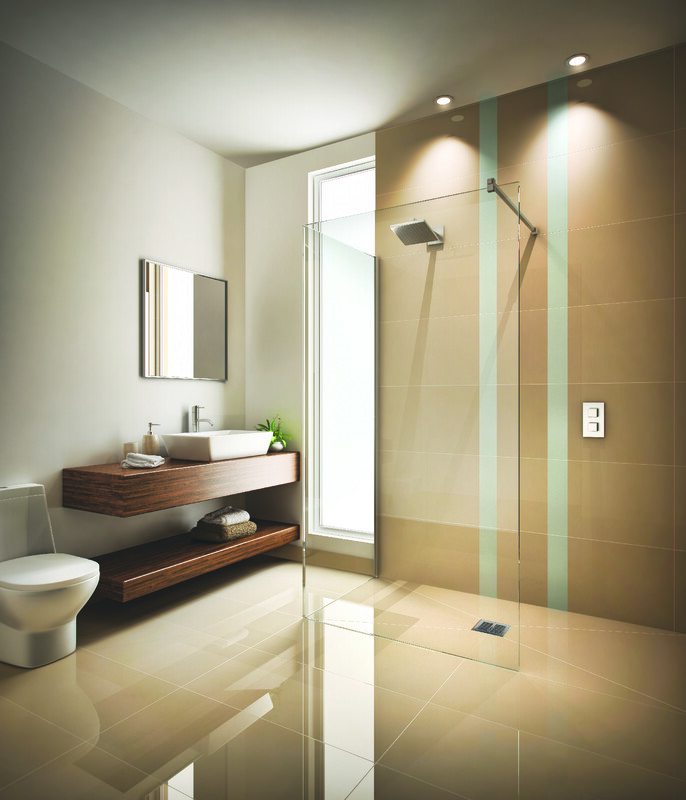 The Reflection Frameless Shower Range with its curved hinges complement the majority of sanitary ware applications. 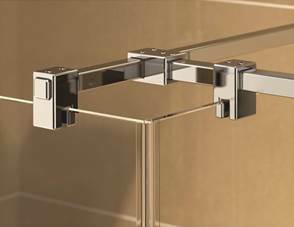 Coupled with our unique over-closing action, chrome plated finishes and stainless steel fixtures, this range is proudly designed and manufactured in South Africa. 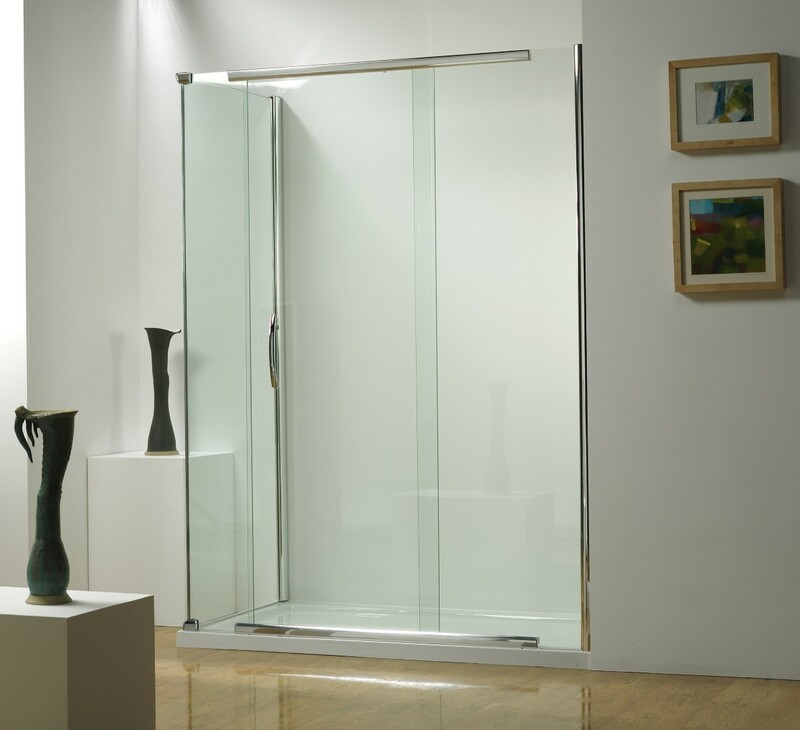 Being able to combine various glass thicknesses is a distinct feature of the Reflection Frameless Shower Door and Enclosure Range. 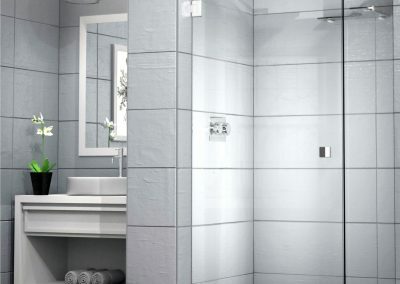 Optimal water retention is created by the use of integrated profiles which blend in superbly in customised bathroom designs. 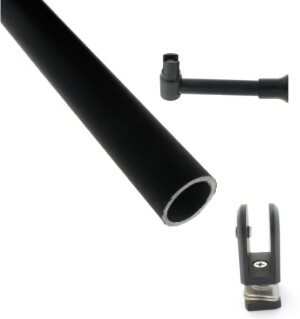 Optimal water retention created by the use of integrated profiles. 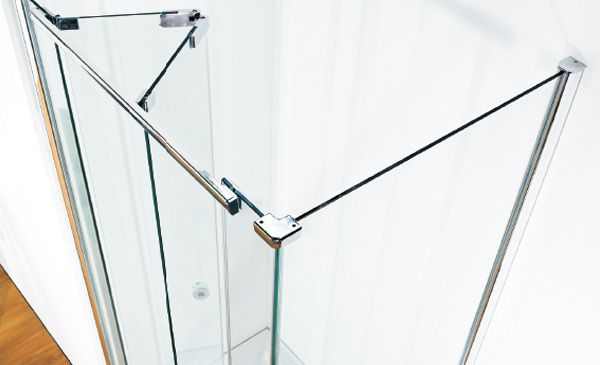 Chrome plated finishes and stainless steel fixings. 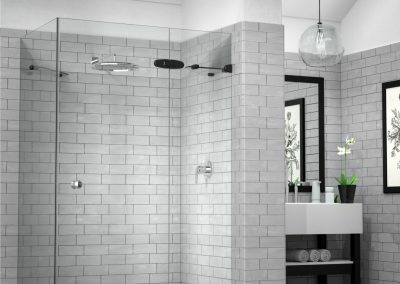 Black finish on certain shower fixtures is now available. 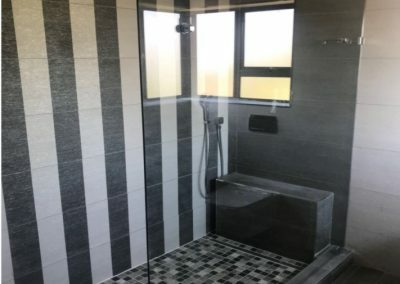 View our Black Finish Showers, that includes black framed, frameless with black brackets and hinges or our cottage pane framed version https://showerline.co.za/new-framed-shower-doors/ . 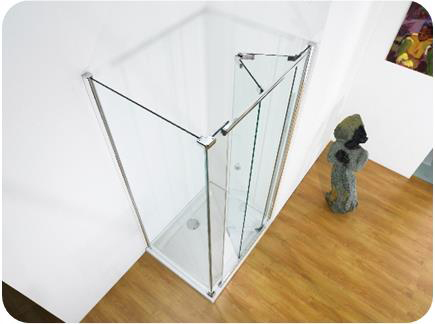 Can be used with various glass thicknesses. 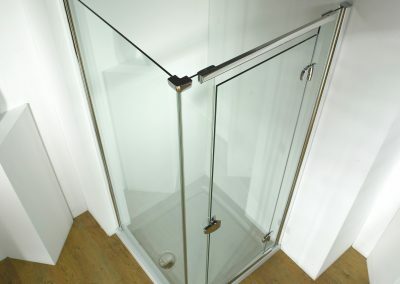 6mm, 8mm and 10mm Toughened Safety Glass. 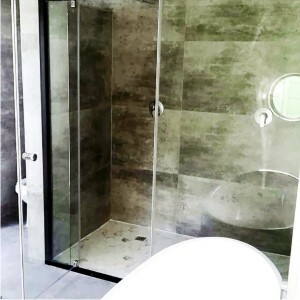 The IMAGE Frameless Shower Door and Enclosure Range provides for clean, square lines but includes similar design elements found within the REFLECTION range for maximum efficiency and elegance. 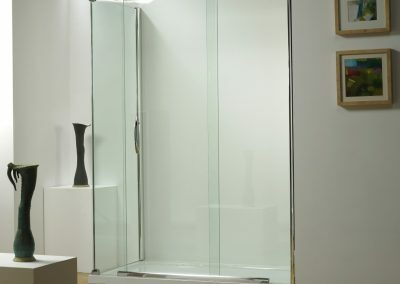 Utilising mainly 8mm and 10mm glass, the IMAGE Frameless Shower Door Range mirrors that of the REFLECTION range, with magnetic closing actions added to provide for a further dimension within the luxury shower enclosure market. 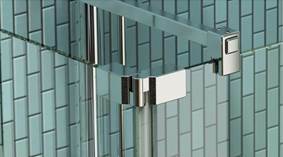 Integrated profiles and gaskets add to the appeal of this range. 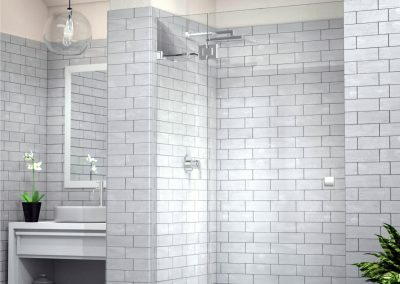 Black finish on certain shower fixtures is now available. 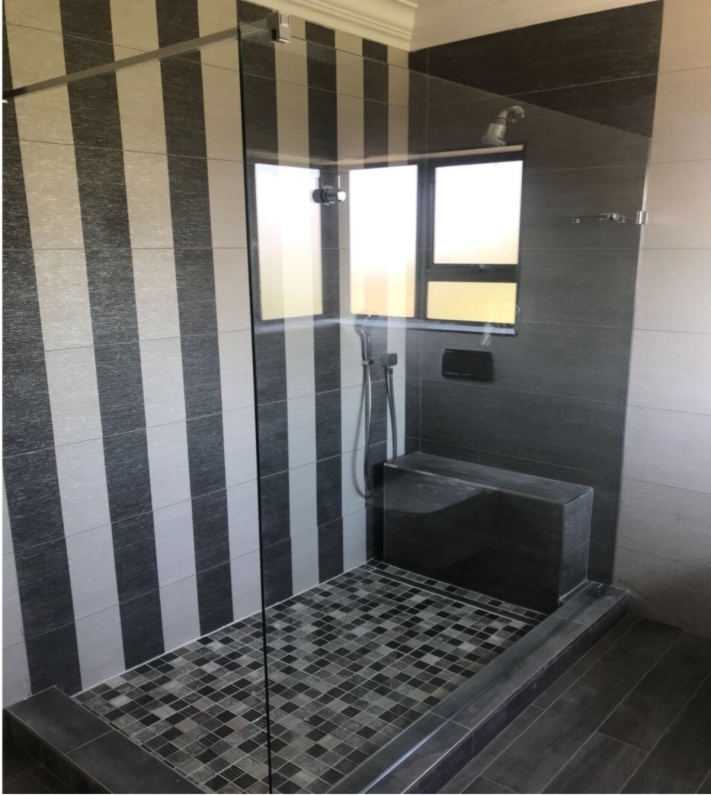 View our Black Finish Showers, that includes black framed, frameless with black brackets and hinges or our cottage pane framed version https://showerline.co.za/new-framed-shower-doors/ . 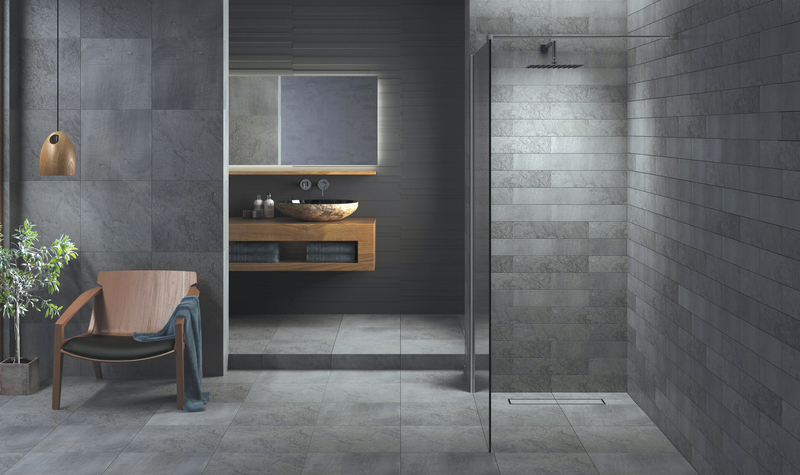 Optimal water retention using integrated profiles. 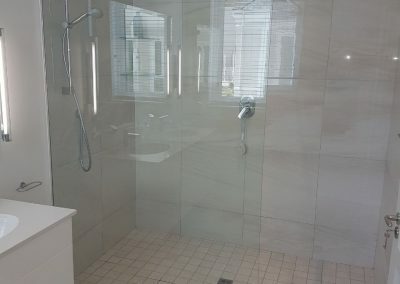 Used mainly with 8 to 10mm Toughened Safety Glass. 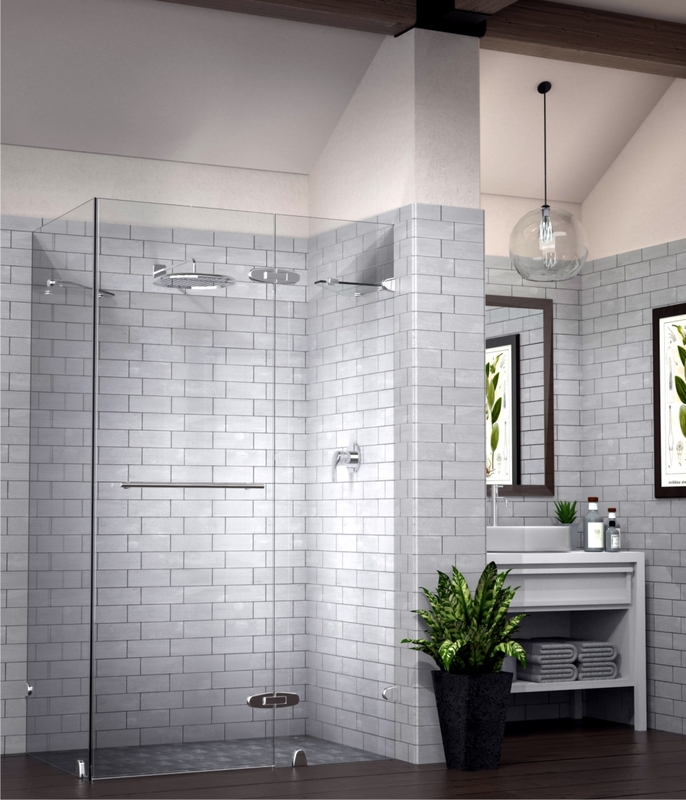 Chrome plated finishes and stainless steel fixtures. 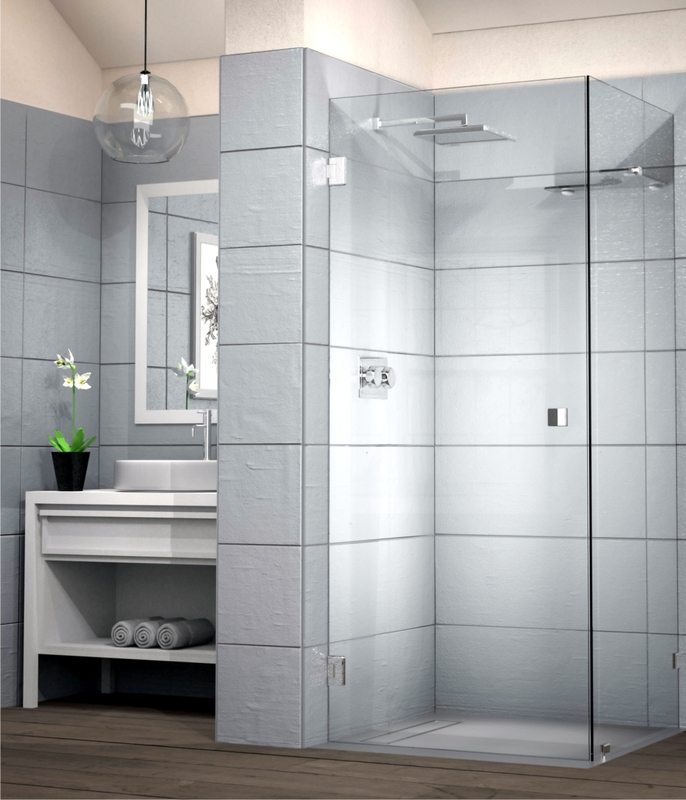 The stunning ILLUSION Semi-Frameless Shower Door and Enclosure Range offers a clean modern, minimalist look with many design features that improve, enhance and enrich the range, making this one of the most technically advanced showering enclosure systems available today. 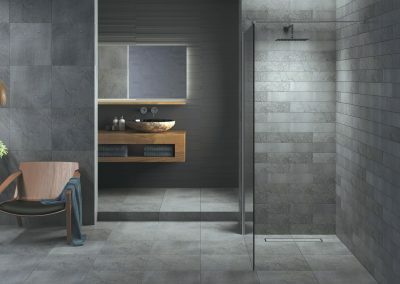 Unlike other frameless shower door products, the waterproof features, coupled with smooth functionality and multiple adjustability and bright polished profiles, elevates the Illusion Semi-Frameless Range into its own category of Luxury Shower Enclosures. 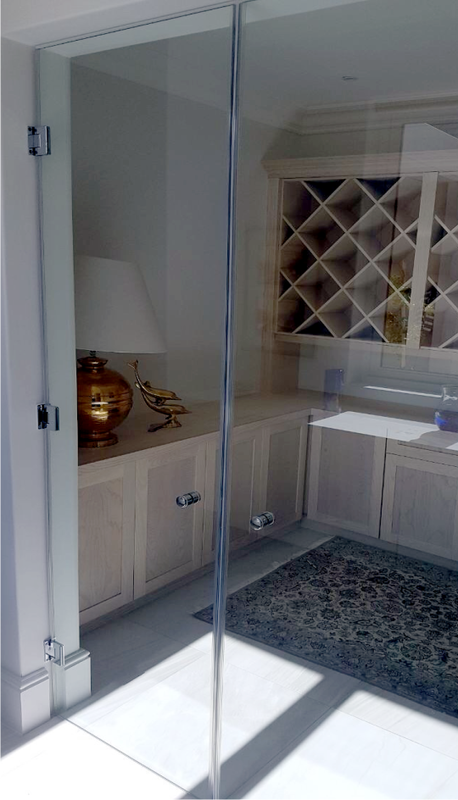 Each type of door can be custom manufactured to exact specifications. 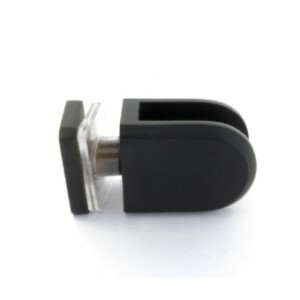 Slider (available options: side or centre access). 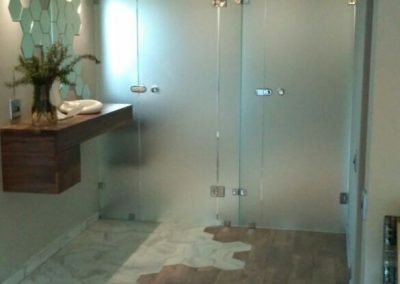 Bath screen options (see Bath Screens). 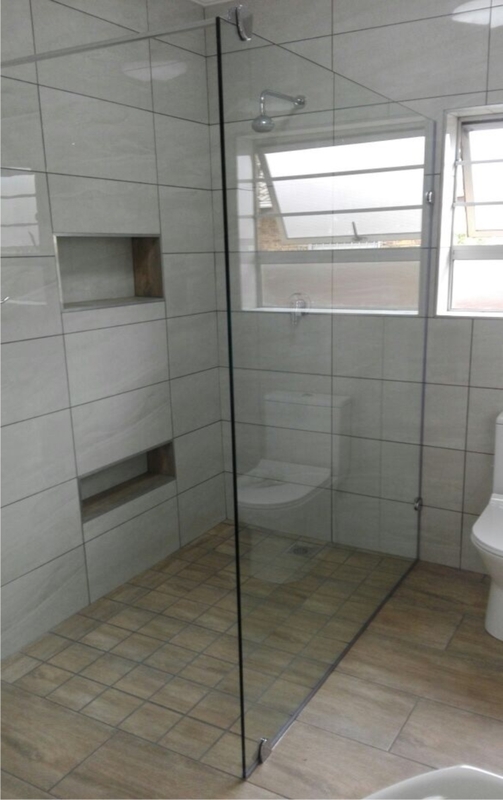 View our Black Finish Showers, that includes black framed, frameless with black brackets and hinges or our cottage pane framed version https://showerline.co.za/new-framed-shower-doors/ . 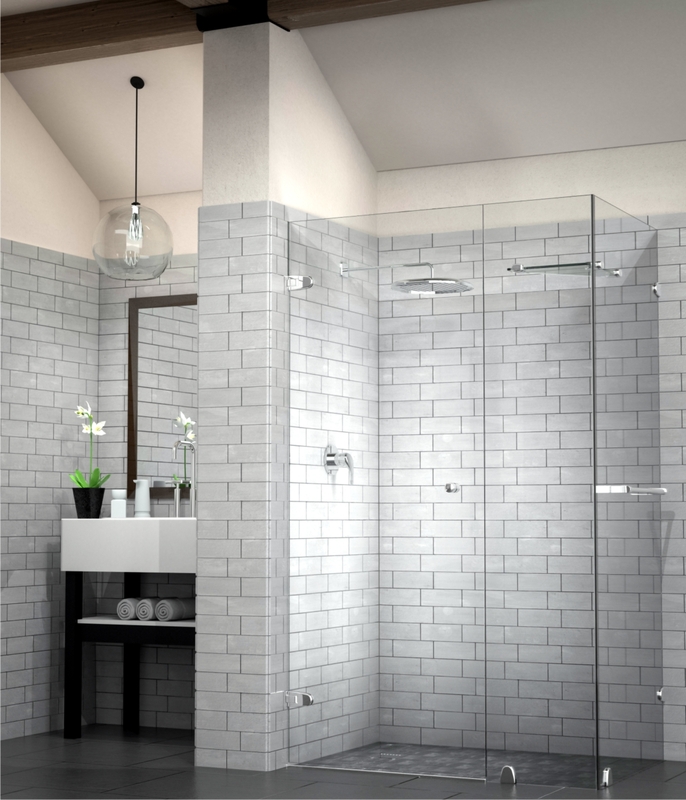 Leading waterproof system and superb functionality. 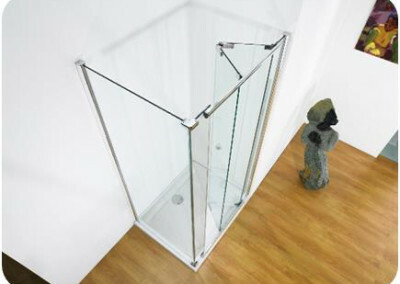 6mm Toughened Safety Glass (screens only). 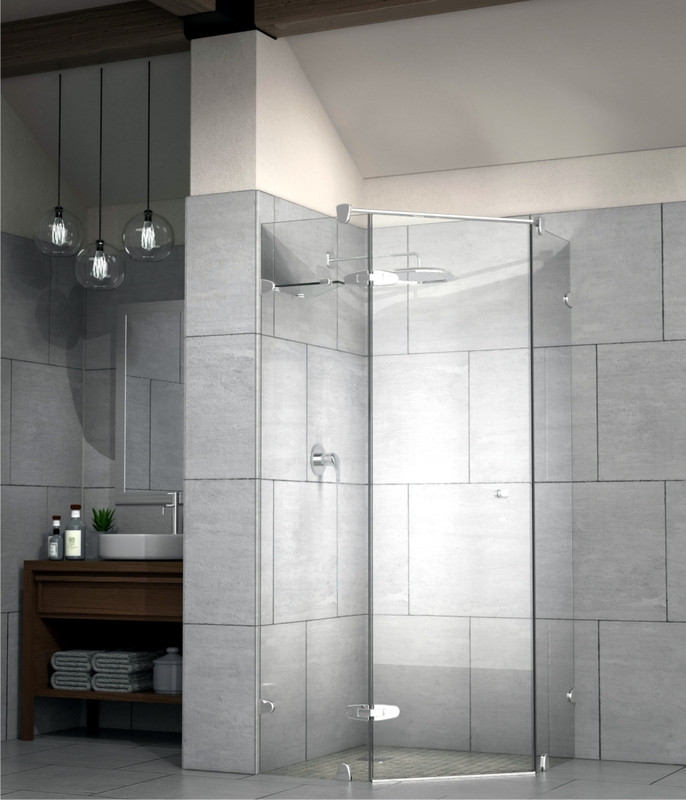 The VISION Range is our Flagship Frameless Walk-In Shower Enclosure. 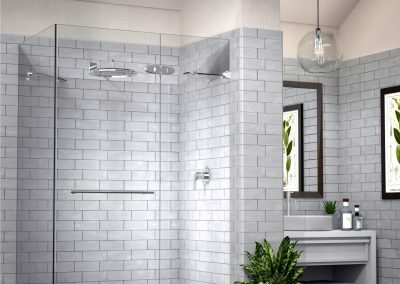 This range provides the perfect combination of precision engineering and stylish design, creating a spacious, luxurious and modern showering experience. 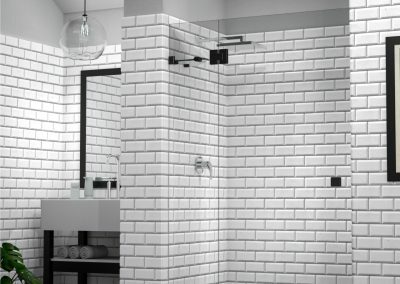 Bespoke layout options are endless. 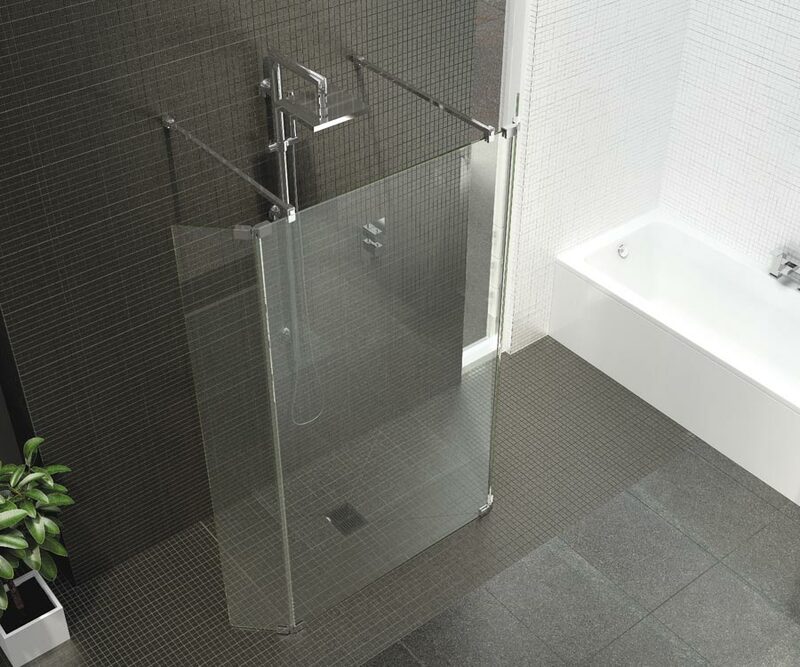 The fixed or hinged deflector panels are designed to provide additional shower protection by containing more water within the designated showering area. 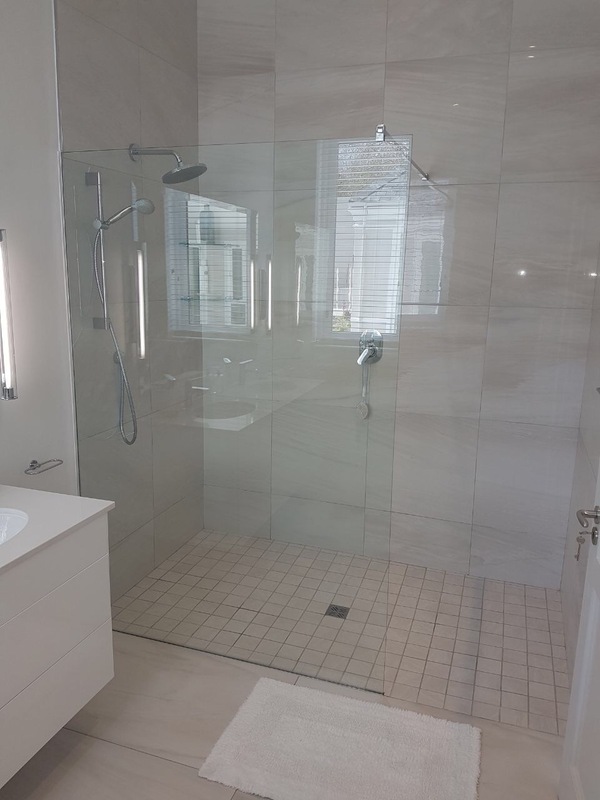 The Deflector Panel can be used in conjunction with or without shower trays and can be easily fitted, even after the installation of the front panel, which means you need only purchase a deflector panel if required, saving you time and money. 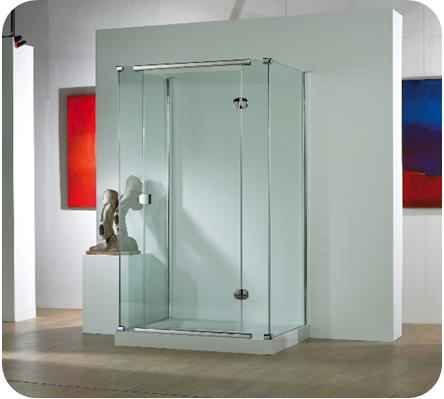 The Vision Frameless Shower Range allows you to create a stunning Walk-In shower. 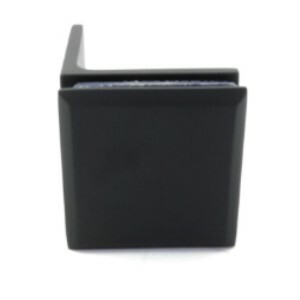 Optional fixed or hinged deflector panels. 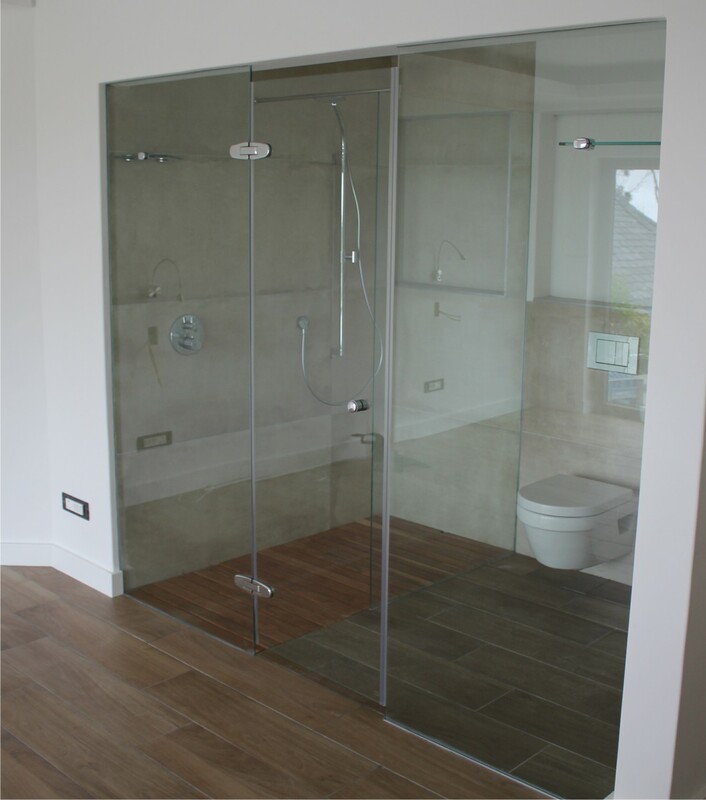 8mm and 10mm Toughened Safety Glass. 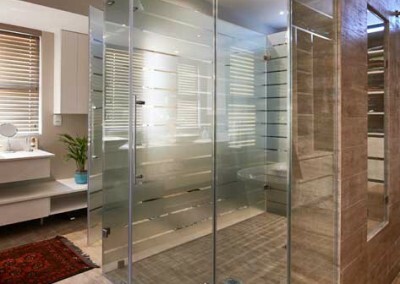 Glass panels available in various sizes. 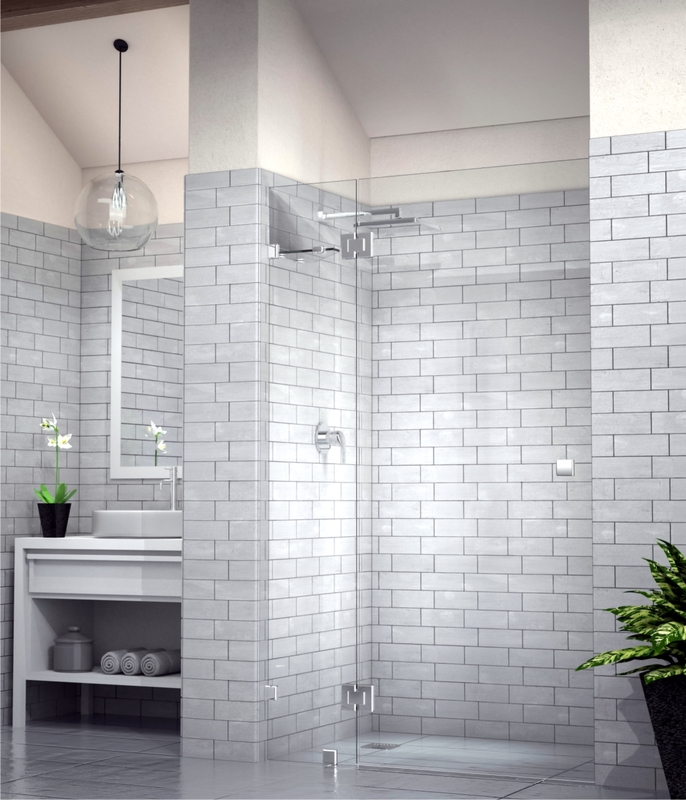 The Infinity frameless shower range with its clean, uninterrupted lines is simply stunning. 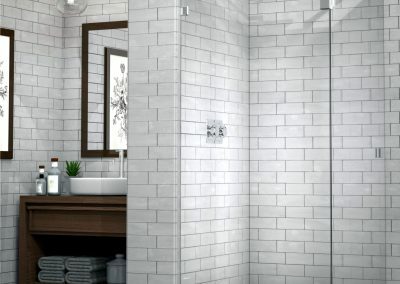 This is a fully integrated system, utilizing unique channels that can either be recessed or hidden inside walls or tiling, or alternatively retrofitted after tiling is completed, to have as a feature of brightened aluminum in the bathroom environment. 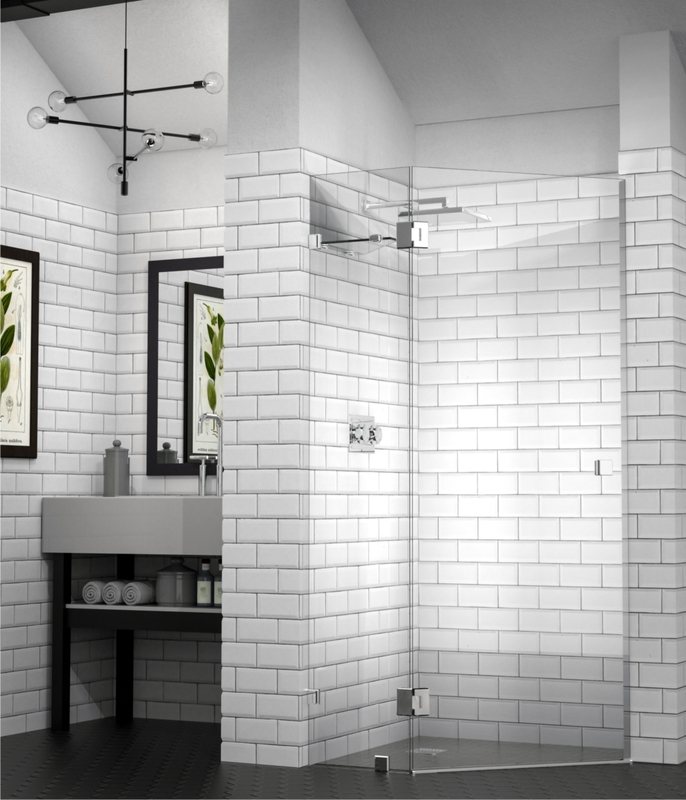 What makes this product one-of-a-kind is the ability to eliminate the need for clamps, tie bars and shelves in certain circumstances. 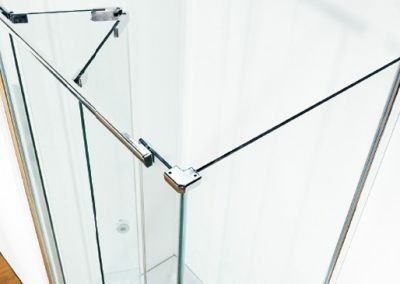 The channels are unique to Showerline, as full waterproofing can be achieved by the clever use of unique gaskets and silicone between the Glass and the Channels. 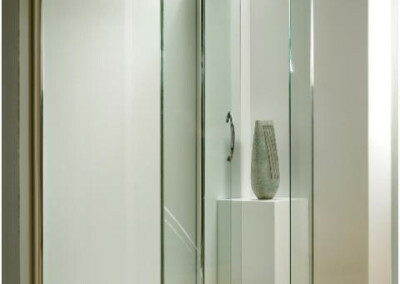 Various glass thicknesses can be used within the same Channels. 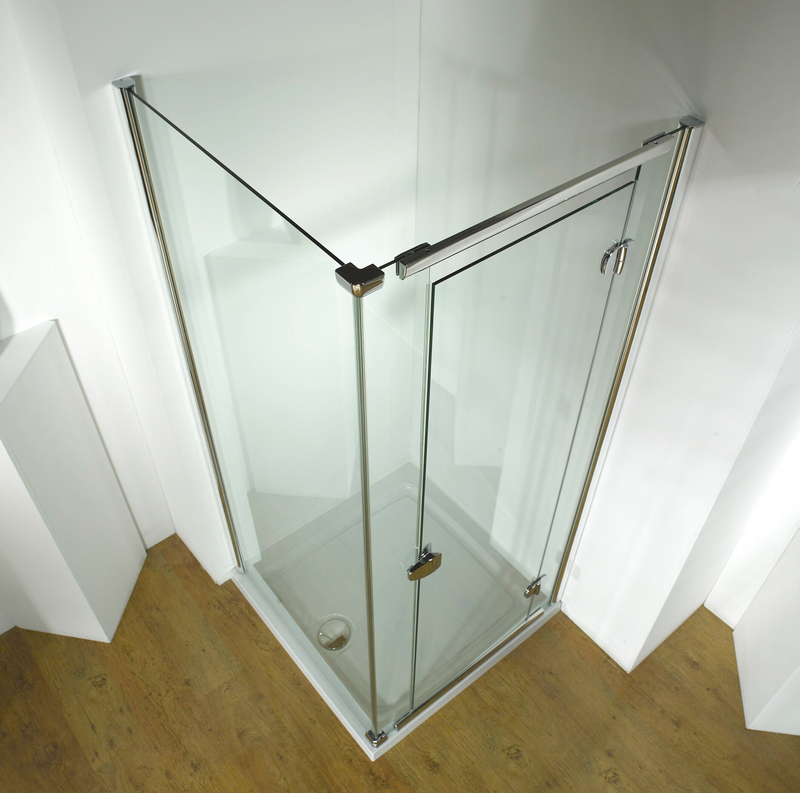 So this can vary from 8, 10 and 12mm Toughened Safety Glass. 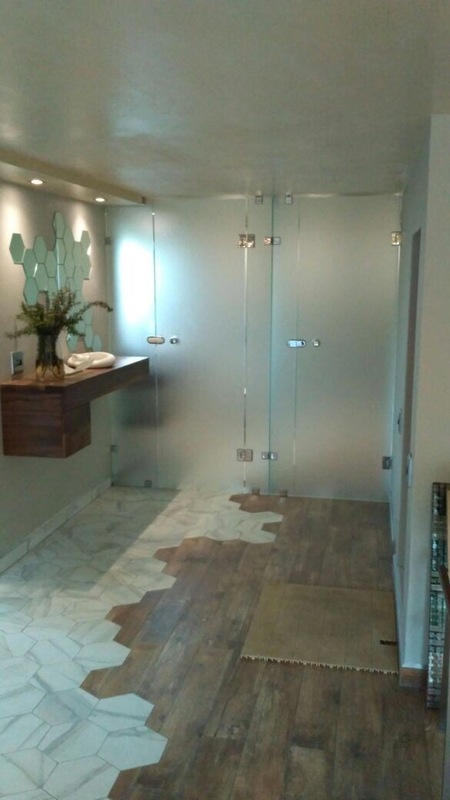 The benefits are both aesthetic, as the panels appear to be floating, as well as hygienic, as there are no recesses for soap, calcium build etc. 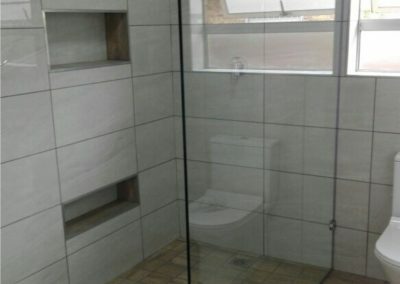 to take place. 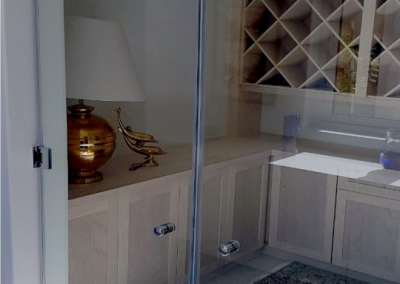 “The entire apartment is furnished with new stuff. 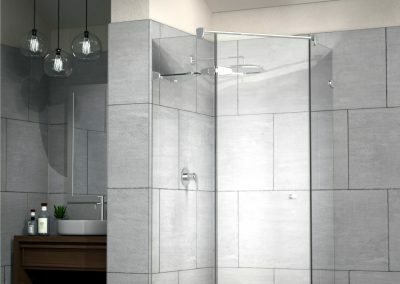 And I have to admit: my new shower doors have brought me more pleasure than any other item I purchased. 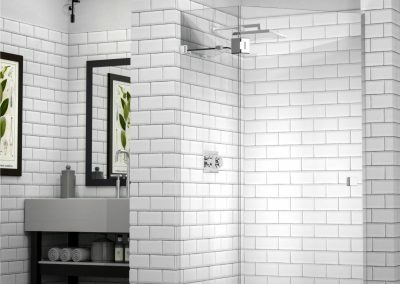 I look at them each day, and smile! 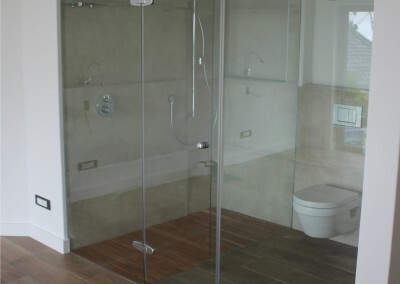 The service was amazing, the installation flawless and neat, the people I interacted with super-professional.